Widodo has chosen Islamic scholar Ma’ruf Amin as his running mate, while Prabowo has teamed up with businessman and former deputy governor of Jakarta Sandiaga Uno for the campaign. Prabowo, by contrast, has put forward an alternative policy platform to stimulate the economy, proposing to cut corporate taxes by between 5% and 8% as a means to boost investment and growth. He has also proposed lowering personal income tax for many Indonesians while aiming to raise the top rate for the wealthy. In addition, Prabowo has said he will increase the wages of civil servants when elected while expanding support for farmers and rural communities to boost agricultural output and roll back rising imports of food and basic commodities. Despite cutting tax rates, the Prabowo camp says state revenue will increase under its plans, as more Indonesians will be willing to pay their taxes if compliance costs less. 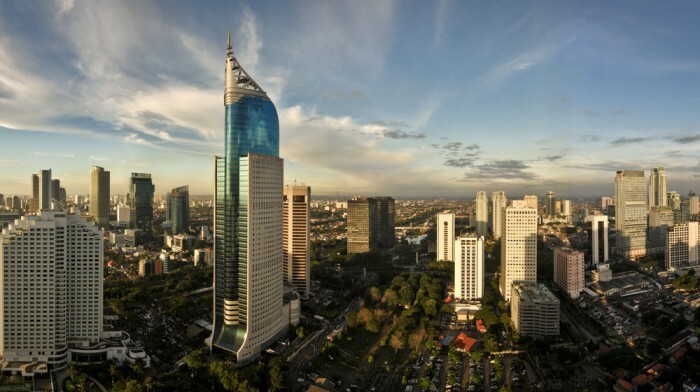 This predicted hike in revenue would, according to Prabowo, lead to lower state borrowing, which has increased under President Widodo and allow for more expansive budgetary spending.